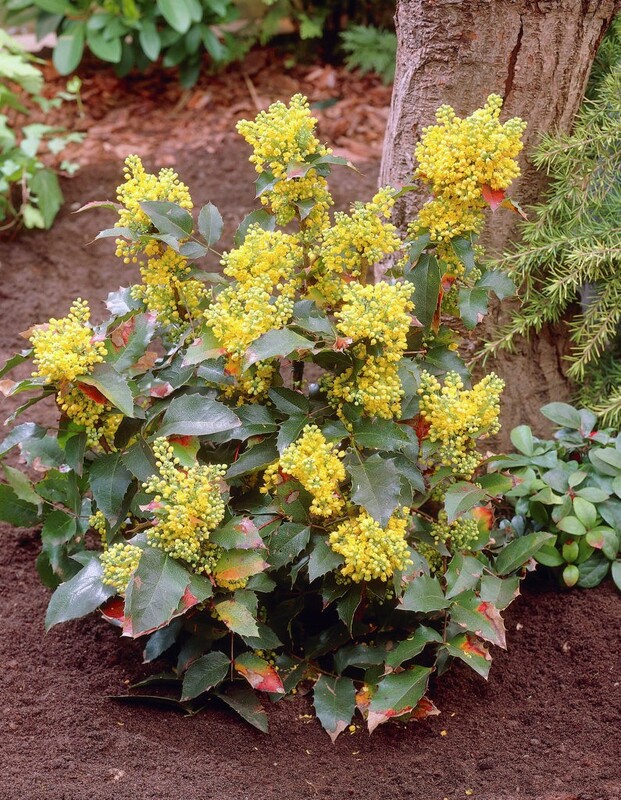 An evergreen, prickly shrub that bears dense clusters of vivid yellow flowers every spring. During Autumn and Winter you can expect to see black fruits which are a food source for birds, the foliage takes on hues of red and orange. 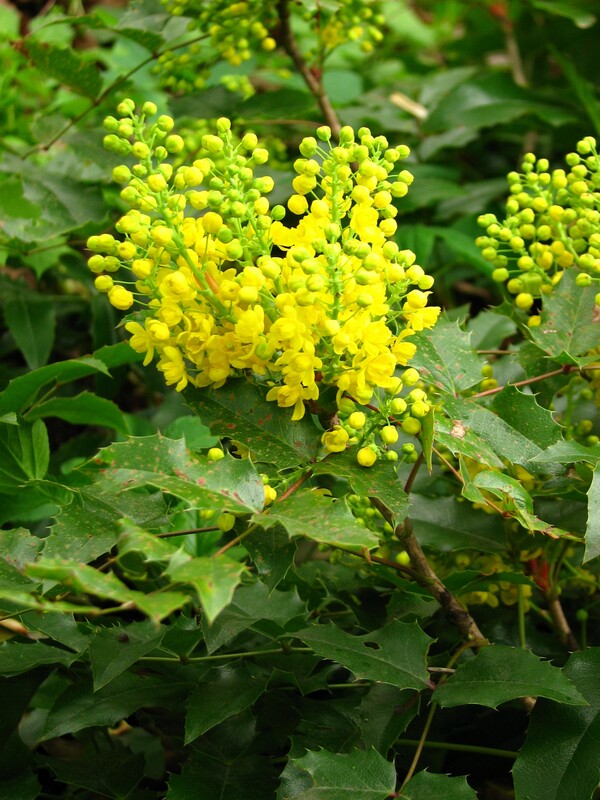 Tolerant of heavy shade, very robust and low maintenance. 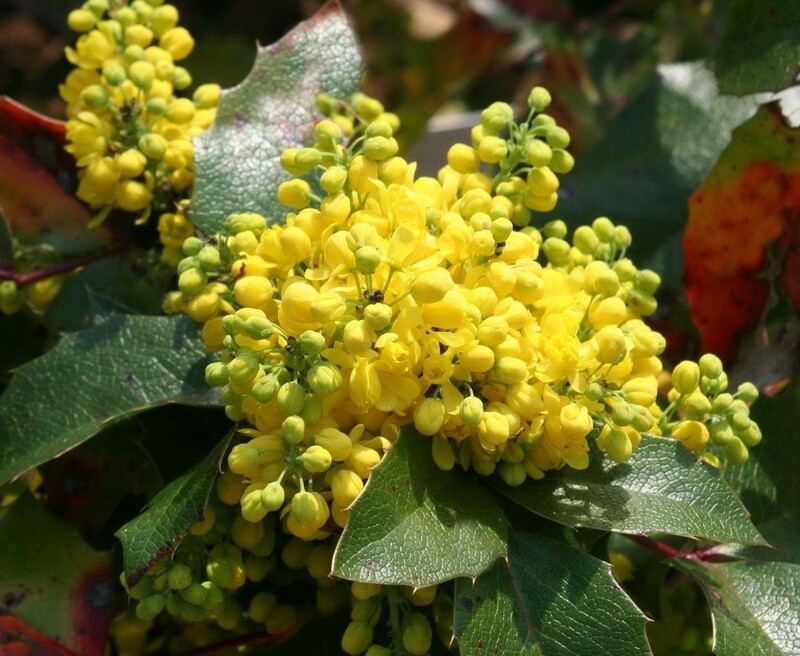 Mahonias are impressive winter flowering shrubs which make a striking statement in a border. 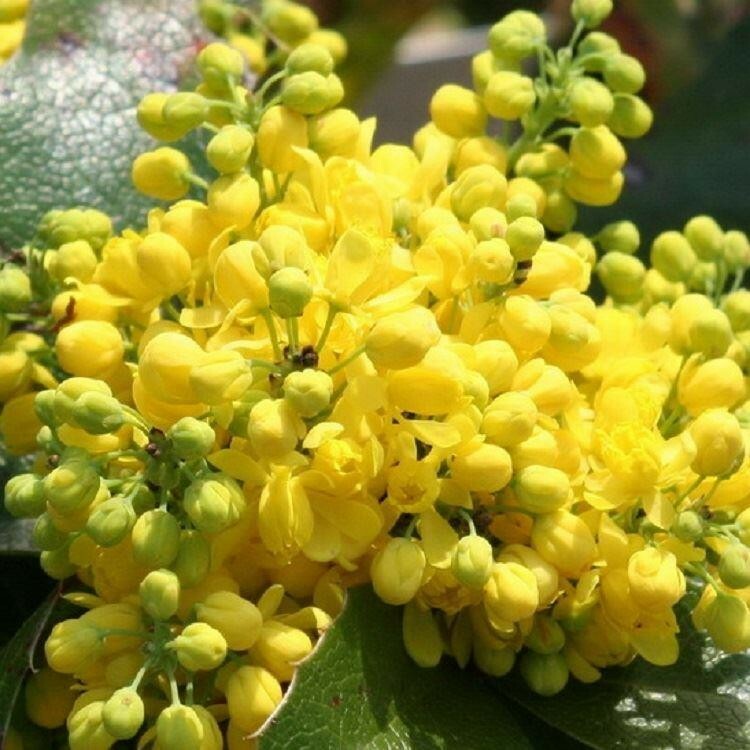 Supplied as a young plant in a 9cm pot.